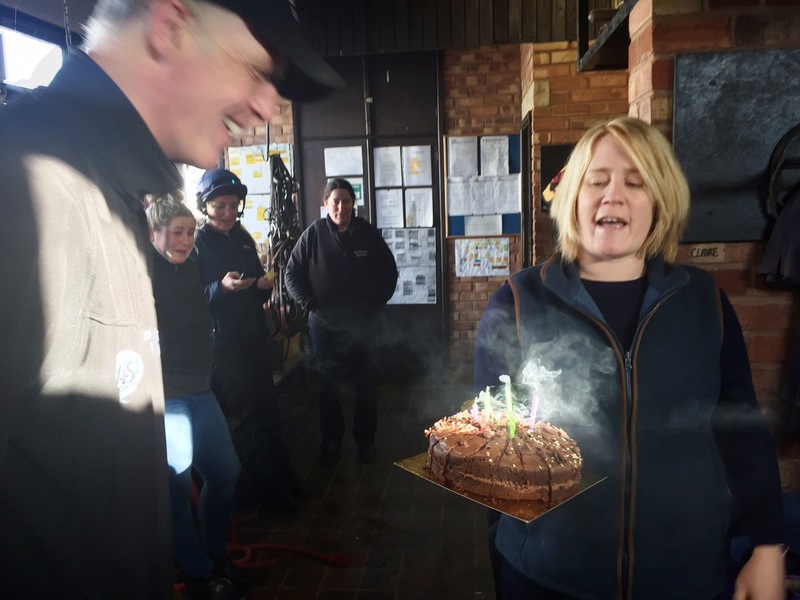 David Pipe | Racehorse Trainer Happy Birthday David! 46 years ago Martin Pipe was in Bridgwater Hospital in traction having broken his thigh having fallen from a horse called Lorac (Carol spelt backwards) never having ridden or trained a winner. Carol Pipe was in Musgrove Park Hospital, Taunton giving birth to a Grand National winning trainer (2008, Comply Or Die); David Pipe.. she must be a good breeder! Very happy birthday David. Sadly, all racing in Britain today has been abandoned due to an equine influenza outbreak. The BHA took the decision to cancel all meetings last night with a statement reading, "The BHA, with unanimous support of the industry veterinary committee, has taken the decision to cancel racing at all British racecourses on Thursday 7 February 2019. It is a real shame as David tells me that he had three certain winners lined up for his birthday! Anyway, I am sure he will be letting all the staff go at lunchtime and go for a birthday knees-up down the pub! I see that Gordon Elliott incurred the wrath of the stewards at Ayr yesterday with his runner Blue Braid being found to have not been ridden to achieve the best possible placing. Jockey Henry Brooke was banned for 14 days, the horse banned from running for 40 days and the trainer fined £3,000. Manchester City went to the top of the Premier League last night following their 2-0 victory over Everton. It looks to be more and more between Manchester City and Liverpool. Meanwhile, I see that my team, West Ham are going to name a stand after former captain Billy Bonds - a great player who always gave 110% in every match. He led the club to FA Cup wins in 1975 and 1980...I certainly miss those days! I see Rafa Benitez is taking struggling Newcastle for training camp in Spain. Pesonally, I would be taking them to the North Pole. In what other job can you perform badly, yet get taken on holiday to Spain? These footballers do not live in the real world! Jo Konta sealed a Great Britain win over Slovenia in their first home Fed Cup tie for 26 years. Konta said, "It was tough." She won 7-6, 6-2 while Katie Boulter won 7-6, 6-2 - it didn't look too hard to me! Snooker is also in the news again for gambling. David John was banned from snooker for 5 years and 7 months for match fixing. He was also fined £17,000 in costs. Meanwhile, Jamie Jones was banned for 12 months for failing to report an illegal approach - it looks like our jockeys and trainers get off lightly! What do you call a snowman in the summer? Puddle!